And so, having dangled the prospect in front of us for half a day, Lamborghini has finally gotten around to providing video evidence of the SVJ's new lap record. Thoughts? Well, as with the SV's lap three years ago, the Aventador looks nothing if not absolutely ballastic, and you do rather have to take your hat off to Marco Mapelli, who certainly leaves it all out there on the track. 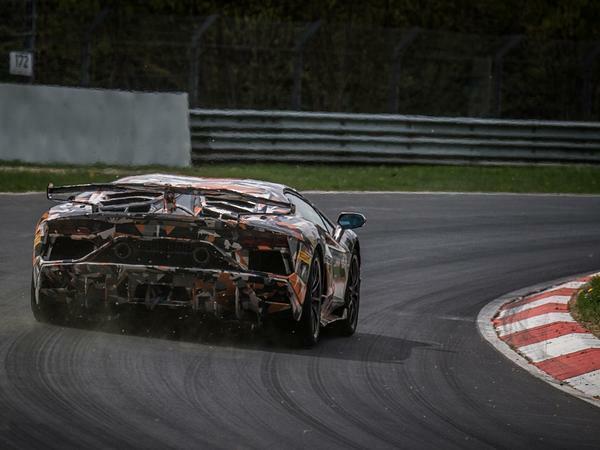 Well it wouldn't be a Lamborghini Nurburgring lap record without some controversy now, would it? 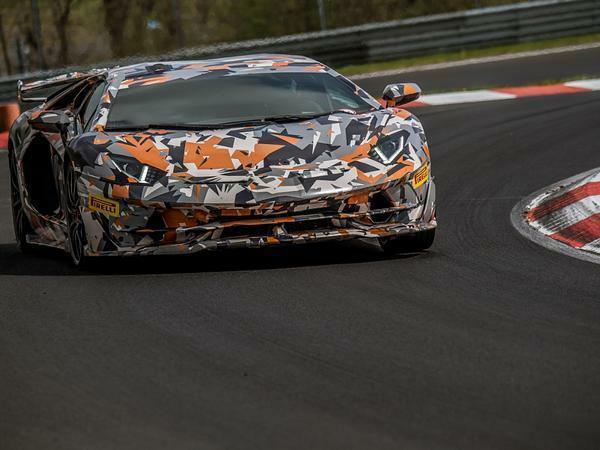 Following the claims of sped up footage in the Huracan Performante lap, Lamborghini now claims that the hotly anticipated Aventador SVJ has clocked 6:44.97 with Marco Mapelli at the wheel. But there isn't a video yet. And we don't know when it will be. If true, that makes the Jota 2.27 seconds faster than a GT2 RS, 7.04 seconds ahead of a Performante and a substantial 14.76 seconds swifter than an SV. When you bear in mind that lap has been achieved with just a 20hp power gain (to 770hp) and a 22lb ft torque boost (to 531lb ft), that looks like a damn impressive achievement. The key to its newfound pace is said to be in the SVJ's aerodynamic enhancements, the Huracan's ALA active aero now featuring on both the front and rear in its second generation to generate 40 per cent more downforce than an SV with no drag penalty. Combine that with four-wheel steer as found in the S and you can see how the lap time might have fallen. "This new car is the convergence of Lamborghini technologies to produce a super sports car that transcends current performance benchmarks," said Stefano Domenicali, in typically modest Lambo fashion. Unexpectedly, the Jota still weighs the same as the SV (at 1,525kg dry) and, somewhat more predictably, uses the same ISR single-clutch gearbox that all Aventadors have. Imagine the neck muscles Mappelli must have by now. The record car J was also wearing Pirellli Trofeo R tyres, as were apparently optional on the SV, with Lamborghini making further tweaks to the ESC, four-wheel drive system and steering for additional raciness over an SV. This has all become rather uninteresting now. I'd like to see a video of that, it must be absurdly fast to drive. Speak for yourself. I think it's great that, in this day and age, manufacturers are still pushing the boundaries of what is possible and are still bothering to make cars like this. Terrible name, but it looks like an amazing bit of kit. I agree. What the point of a fast/supercar if it isn't to try to break lap records. Thats the point of competition...or everything stays the same and the engineers have nothing to aim for.